Something about spring reminds me of The Incident at CIA Headquarters, which got me thinking about the adventures I’ve had at Akoya while supporting our clients’ communications needs. My cautionary tales could save a career or even a life. Maybe yours. Lesson 1: Beware food courts, especially the quiche. Lesson 2: Don’t walk out of your client’s hotel room at 7:30 A.M.
Diane was sick all night with food poisoning, which I learned when she called me at 6:30 A.M. and with raspy voice asked for ginger ale. I scavenged until I found some and hurried to her room to find her dressed in a terry robe and looking, well, forlorn. I commiserated with her for a few minutes and then she walked me to the door and I exited … directly into a high-ranking NASA official, who looked at me, and at bed-headed Diane in her robe, and gave the ol’ “Well, surprise, surprise” look that you’d expect at such a moment. For the record, it was an errand of mercy. Lesson 3: When you’re headed to the FHWA in McLean, Virginia, don’t turn too soon. On a bright spring day soon after I started at Akoya, our CCO Nancy and I had driven down from Pittsburgh to meet with clients at the Federal Highway Research Center. As I turned off the GW Parkway there was a moment of confusion about whether to take the first or second right. Nancy said, “This is it!” So I turned, and knew at once this wasn’t it. 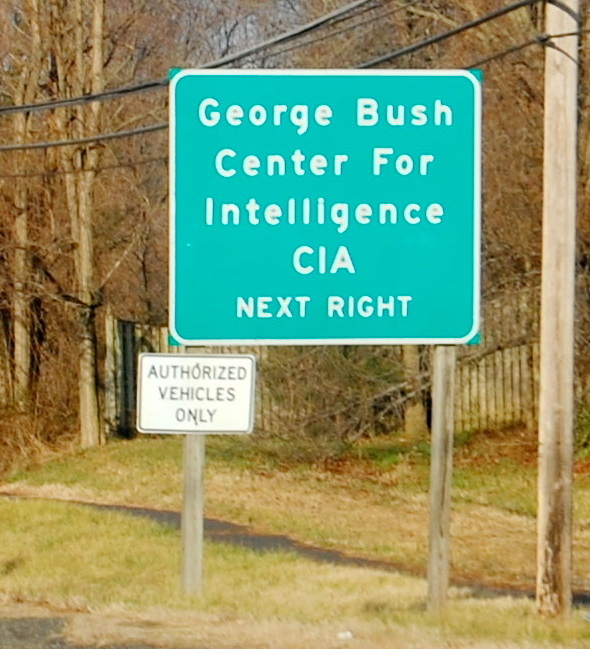 We were in a stream of cars heading to CIA Headquarters. A sign at a checkpoint ordered guests to stop while cars with credentials sped on by. A stern voice on an intercom said, “Can I help you?” I stammered, “Wrong turn … big mistake … turn around?” The voice said to proceed to the security station where I was brought in like they park the jets at the airport, and three guards held automatic weapons on the contractors from Pittsburgh. Personally I thought the German shepherd unnecessary. We were detained 30 long minutes while they checked our driver’s licenses and my PA car registration. Finally the guard cleared us … the delay was caused by my just-expired registration sticker. (Flash back to a week earlier, telling my wife: Registration sticker? Yeah, yeah, I’ll get to it.) At last we breathed free air at Federal Highway, where we related the tale to our client. He said, “I could’ve told you—never take the first right off the GW Parkway.” Lesson learned. Corollary Lesson for PA residents: Always affix your registration sticker to your PA license plate as soon as it arrives. This entry was posted in Blog and tagged CIA Headquarters, consulting humor, contractor lessons learned, federal communications consulting tips, government contracting on April 23, 2013 by Robert Matzen. More than once I found myself trapped between armies shooting at each other. I have felt the concussion of artillery going off right over my shoulder. I have had to duck for cover to avoid being spotted, and I have stepped over the bodies of the fallen. That was life in the war. The French & Indian War, to be exact, which I covered in three feature documentaries chronicling the adventures of young George Washington on the Virginia frontier. His time spent there fighting for the British Empire against the French and their Native allies taught him how to be the kind of leader who could later win a revolution. For a few years we filmed war games between armies of living historians who took their task very seriously. They were great people who saw the value in creating documentaries about their war—a seldom-explored and quite brutal corner of American history. How brutal? We worked for weeks to find just the right formula for making blood that looked real, and we spread gallons of it in the forest for the recreation of one particularly nasty battle known as Braddock’s Defeat. But we also experienced great civility; we were among the one percent of applicants to be granted permission to shoot inside George Washington’s home, Mount Vernon, and at the 300-year-old College of William & Mary. These are great memories now, and I’m happy to say that the resulting documentaries have been endorsed by the American Association of Museums, broadcast on PBS, and sold by the Smithsonian, Mount Vernon, and Colonial Williamsburg. It’s a bit calmer here at Akoya, and I haven’t needed my blood recipe even once in making videos for NASA or the U.S. Department of Energy. As rewarding as it is to create public outreach videos for highly worthwhile research programs, sometimes I find myself missing the old days on the frontier when it was wisest to keep low to the ground and hold onto your scalp. This entry was posted in Blog, Front Page and tagged history, videography on June 19, 2012 by Robert Matzen.